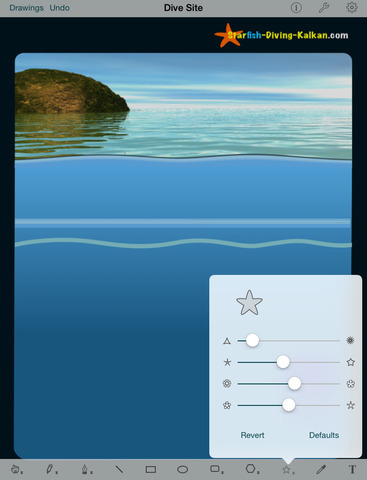 Intaglio Sketchpad is a full featured drawing application designed for the iPhone and iPod touch, based on Intaglio, the award winning Macintosh application. With most iPhone sketching apps you paint strokes or erase pixels on the screen. Intaglio Sketchpad is different because it allows you to create and edit shapes and text blocks. These “vector” graphic elements retain their shape and attributes and can be edited at any time. For example, you can adjust color, line thickness, or fix spelling mistakes at any time. To erase an element you simply select it and delete it without affecting whatever might be behind it. Intaglio Sketchpad provides a full set of drawing tools and capabilities re-imagined for the multi-touch environment. For example, use one finger to draw or select a graphic or use two fingers to rotate it. 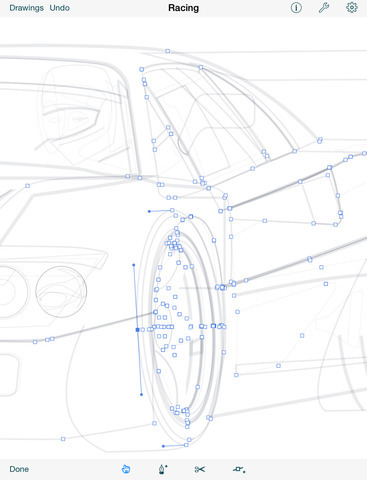 Hold your thumb on a tool button while drawing to constrain the object. You can edit shapes using a multi-touch pen tool or cut the path with a scissors tool and adjust the width of a text column by pinching it. Sketchpad includes predefined shapes in a graphics library you can customize. You can create sophisticated graphics with advanced features such as masks, drop shadows, boolean path operations, dashed lines and arrows. 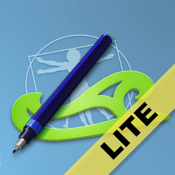 This “Lite” version contains all the drawing tools of the full version but lacks drawing import/export and printing. You’re also limited to a single drawing containing no more than 12 graphics. • Eleven drawing tools including freehand drawing, geometric shapes, bezier curve pen and text. • Functions to align, delete, duplicate, group, layer or transform graphics. • Create text using any font style in the iPhone OS (currently 100 font/style combinations on the iPhone and 135 on the iPad). • Path editor, subpath contour control functions, boolean path operations and text to path conversion. • Gradients, patterns, drop shadows, arrows, brushes, dashed lines, outlined text and clipping masks. 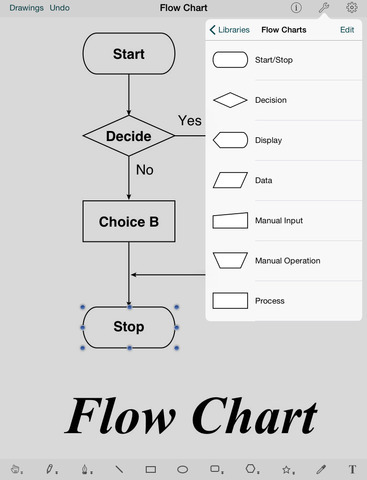 • Drawing aids such as a grid, smart guides and object location and size feedback. • Customizable drawing scale and size. • A customizable graphics library including a variety of predefined shapes. • Multi-touch navigation with two finger scrolling and 800% zoom. • Multiple levels of undo/redo. • Import photos and scale or rotate them to composite with other graphics. 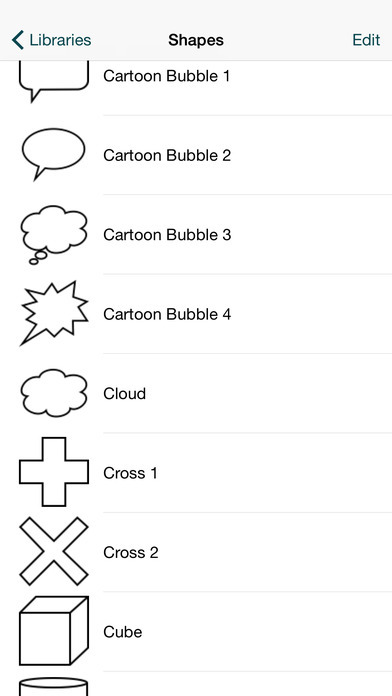 • Use cut, copy and paste to move graphics between drawings or export them to other apps. • Import image files from your computer as PDF, PNG or JPEG.